What Content Goes Hot on Google+? Search Marketing » Bruce Clay, Inc. Blog » What Content Goes Hot on Google+? In the keynote at SMX East this week, BuzzFeed Founder Jonah Peretti talked with Search Engine Land Founding Editor Danny Sullivan about social media, SEO and going viral. 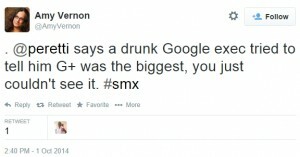 In the middle of the conversation, Peretti talked about Google+ in less-than-flattering terms. I think we (the Internet marketing community) should talk about what he said. Not because his criticism mocked the social network, but because it was constructive. However, context is everything. Those tweets by Amy Vernon, Matt McGee and others were accurate as far as they went, but it’s tough to tell the whole story in 140 characters. 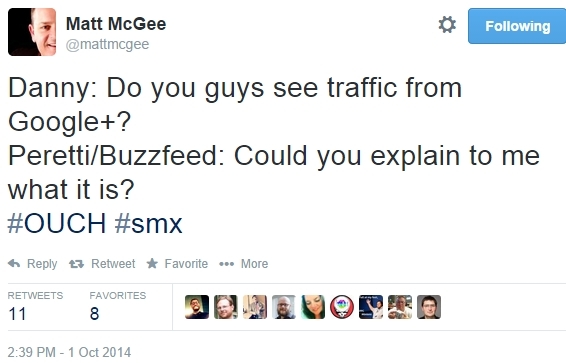 In context, Peretti was talking about Google+ in comparison to Twitter and Pinterest. BuzzFeed, the master of viral content (e.g., the Dear Kitten video produced for Friskies), knows what types of content work on Twitter, Pinterest and Facebook. 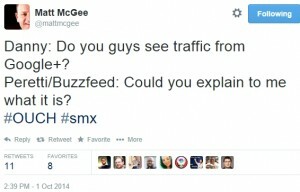 But according to Peretti, they haven’t yet figured out what content goes hot on Google+. 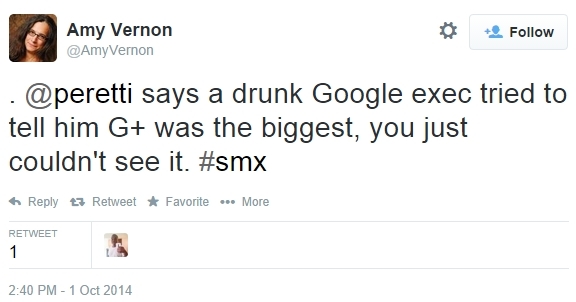 In context, Peretti was talking about the “general” nature of content on Google+. It isn’t a social network about “food, DIY, or holidays,” as Pinterest is. Google+ isn’t about “real-time news and live events”; that’s Twitter’s life blood. What Peretti said he doesn’t know is this: What’s the “core energy” of Google+? He has a legitimate point. Since Google+ is about “general” topics, Peretti said he wouldn’t know what to put a team on to try to develop the channel. Danny Sullivan responded in a half-joking manner that Google+ content was primarily “things about Google.” Indeed, some of the top G-plussers I have circled talk mostly about Google+, its many features, and how to use them. As a blogger, I’ve written about the SEO and branding benefits of Google+. Its key value, as Danny mentioned, is the social network’s tight integration with all other Google products. Particularly because of the connection with Google Search and YouTube, Google+ makes sense for anyone who cares about search engine optimization. But in an era when social channels can drive a huge amount of traffic to your website (a la BuzzFeed), reaching the right audience with the right content is just as important as SEO concerns. And knowing the “sweet spot” of each social media channel — the content types those people hunger for — must influence where you invest your content marketing time and energy. And the question remains: what types of content are G-plussers hungry to consume? Dustin, I think you nailed it. You are someone who puts that amount of effort into Google+ regularly, so you know what you’re talking about. I absolutely love the G+ network for the very reasons you mention. Thanks for reviving this convo and a great response to Mr. Peretti and the rest. Short answer: Deeper, more intentional and meaningful content. Medium answer: Not shallow, one-liner, click-bait, phone-it-in, reposted from Facebook kind of content. Longer answer: The audience on Google+ are there because they’re either tired of the shallow and/or spammy nature of the other networks or they just crave a richer experience. So where most of these “experts” fail is in their copy/paste method of approaching Google+. They want to share a headline a link and an image. They don’t want to offer value or exclusivity, they just want the click throughs and don’t want to bother putting more effort into it than they do on Twitter or Facebook. What they fail to realize is that the extra work they would put in would pay off MUCH greater than the same amount of effort put into the other networks. Thanks for this post Paula!